Al Johnson’s(Beer Garden) - this is the one place that every list of DoCo recommendations does not skip. We found out why early on Saturday morning, catching up over delicious, loaded Bloody Marys and cheese curds. They had plenty of umbrellas to shade us from the already hot morning sun, and we enjoyed the lively bier garden for a few hours. Wild Tomato - Ok, this is also on every list of DoCo recommendations, and after beers, pizza is an obvious next step. We ordered a supreme and took it to-go so we could enjoy it lakeside at the downtown beach. 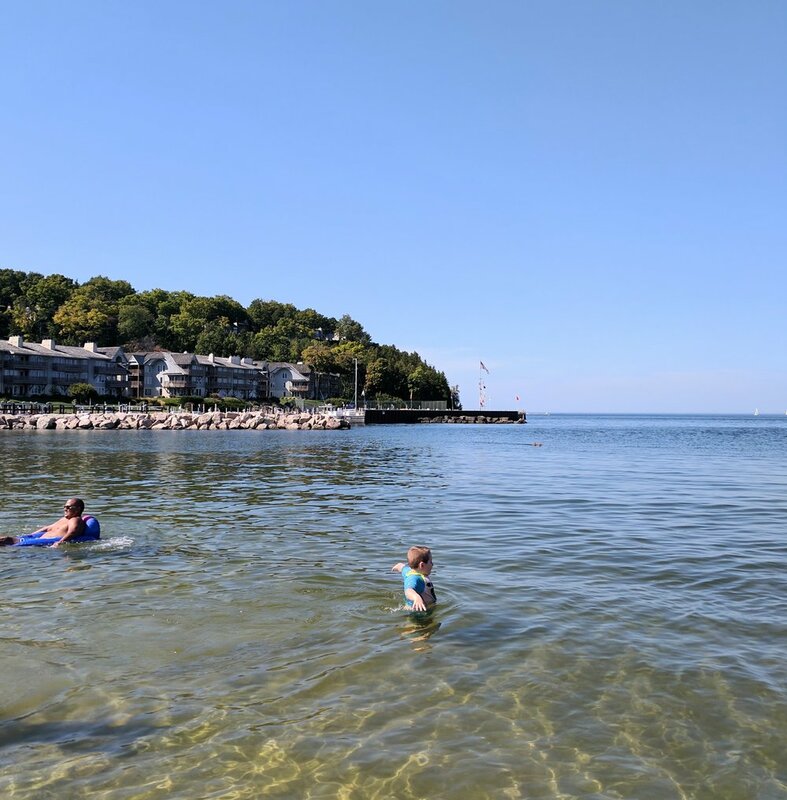 Boats were coming in and out of harbor, kids and adults alike were swimming, and it was quite possibly a perfect Saturday. Door County Creamery - I wanted to buy everything, but settled on the ramp chevre, which we polished off by the end of the next day. Sample all the things - you won’t regret it. Analog Ice Cream & Coffee - a quick hit of caffeine to keep us moving along. Fun vibe and DELICIOUS ice cream, too. 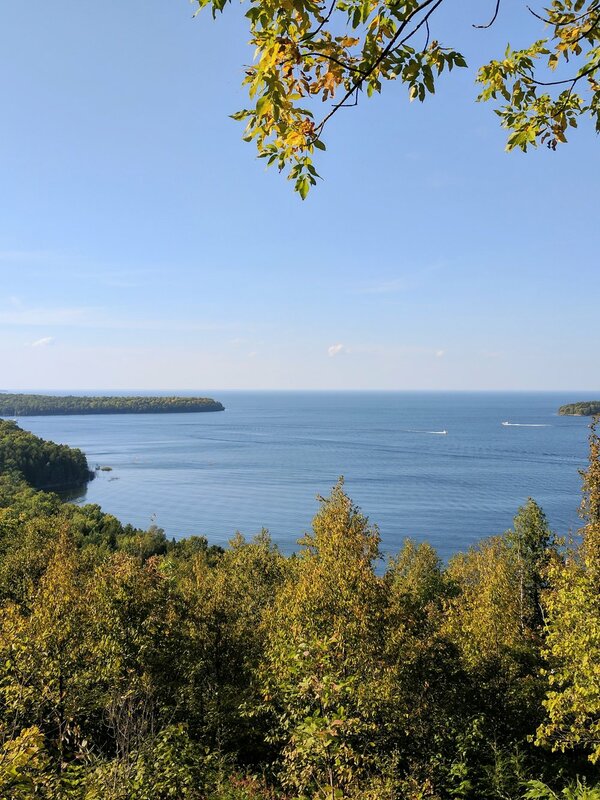 Peninsula State Park - This is ALSO on everyone’s MUST-SEE list for the peninsula. Upon entering, we asked how to make the most of less than an hour in the park. I would highly suggest inquiring about the park the best spots to explore when you enter the park, as they mentioned this changes with season. That said, spend more time, hike the trails, explore every nook and cranny because every stop - suggested or not - that we made, we found more views to love. Hinterland - We probably spent too much time here, but you can’t beat the festive vibe immediately stadium-side. 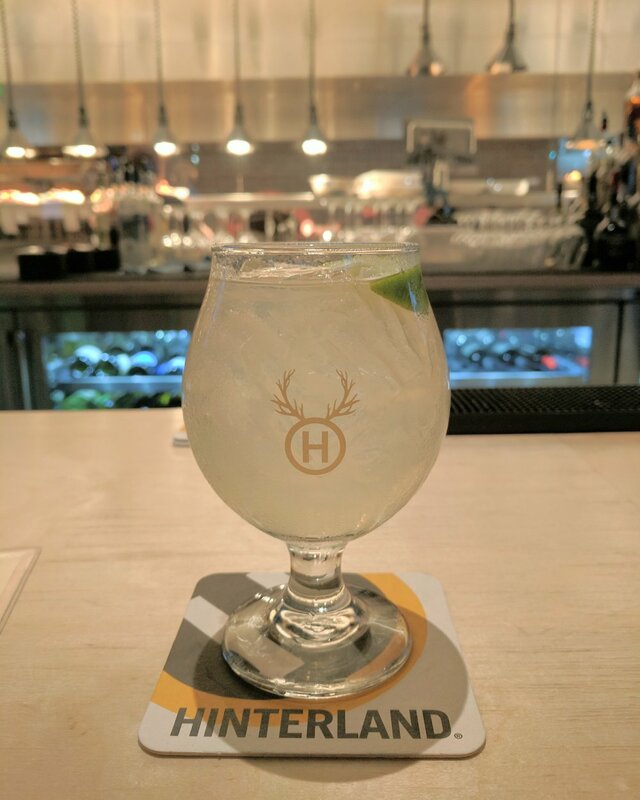 The food was good, but the cool drinks on this unseasonably hot weekend were most appreciated. That and the high concentration of bearded Packer fans. I frequented this place in Milwaukee until it recently closed, so I was happy to have those delicious brussel sprouts back in my life. 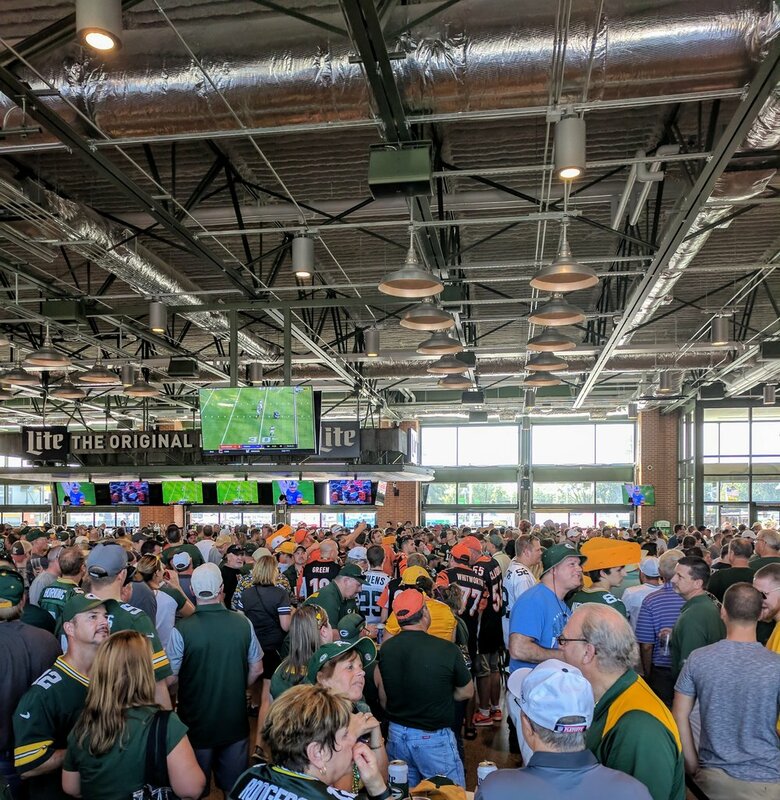 Johnsonville Tailgate Village - if you don’t know a tailgate going on or you need to cool down (we’ll be saying warm-up or escape the snow in a few weeks, I’m sure) escape to the beautiful facility to enjoy delicious foods, a full bar, and live music before the game. Creamery Downtown - Right on the Fox River, this spot is situated right downtown and allows you to sit on the riverwalk. 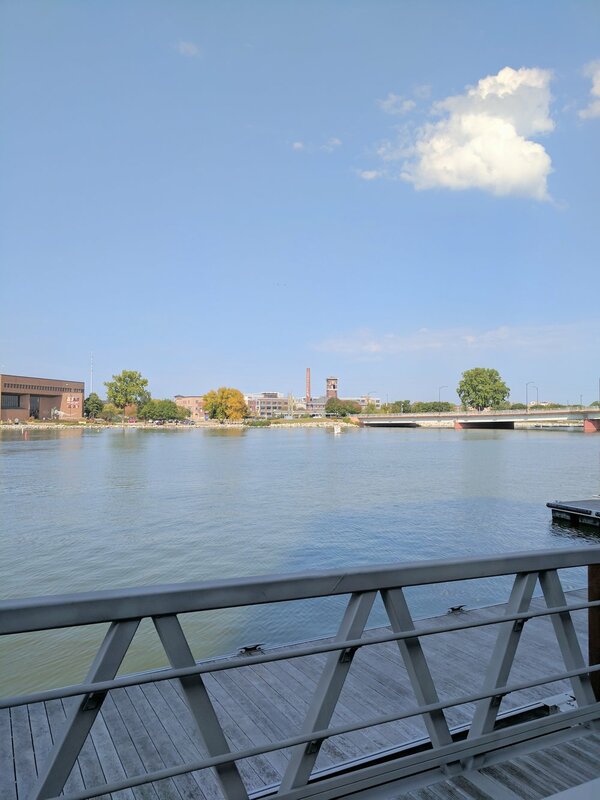 Great views of the city, including the gorgeous Titletown Brewery across the river. Get the BEST EVER chai. 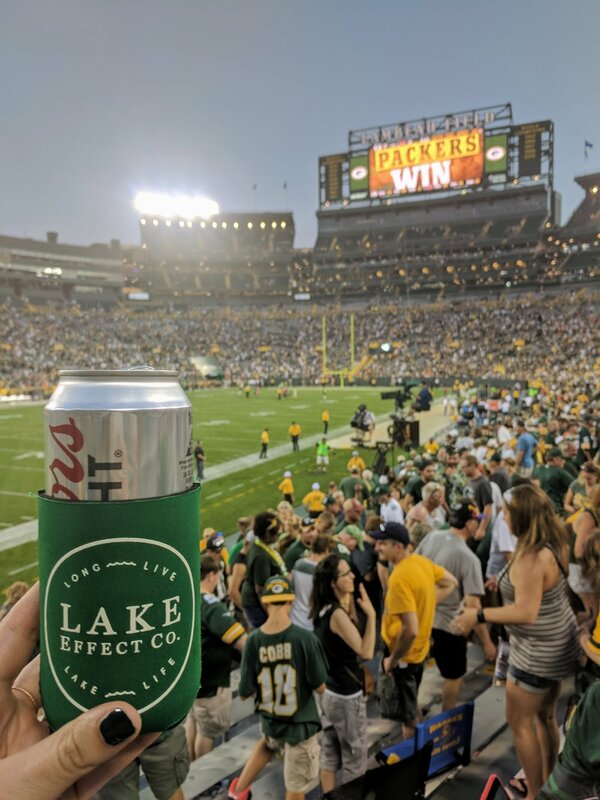 LAMBEAU - Obviously go to a game. 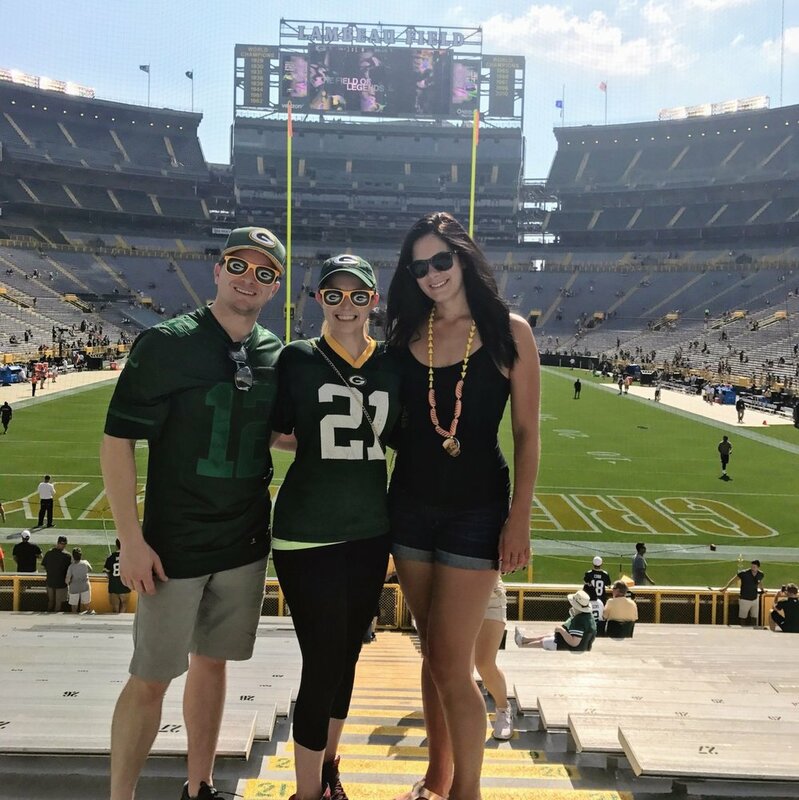 As per usual, the stadium, staff, facilities, concessions, fans, and Packers did not disappoint. I do not, however, recommend browsing the Pro Shop after an emotional win, or you may spend a little [ergh, LOT] more than you meant to. The CA crew left Monday afternoon totally heartsick, mildly hungover, and assured me they will be back again.